Yes. While each school has their own, secure account, if you are registered at both schools, you'll be able to view with just one login. Just make sure you register with the same email at each school. Your email is what "connects" you to both. When you login, you'll be presented with an option to choose a school to view. 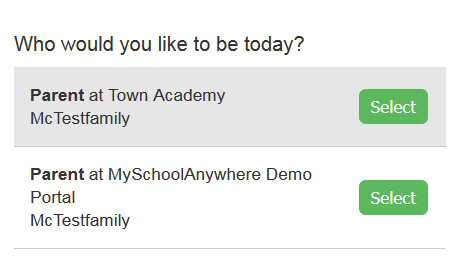 Below is an example of a parent that with access to 2 school's accounts.